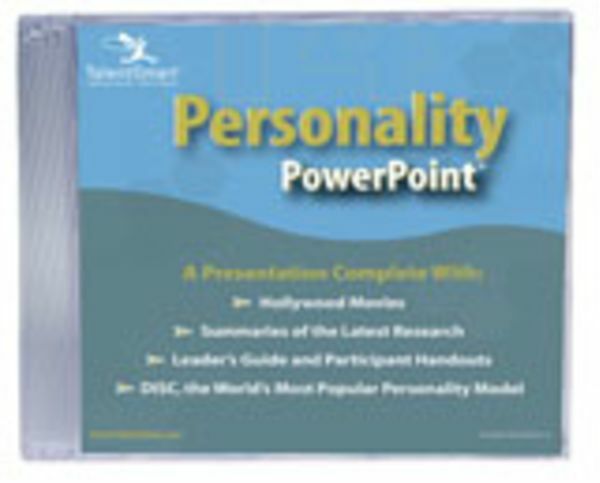 - Give a presentation on the topic of Personality that leaves an impact! - Brings the concept to life for your audience with 27 slides that feature: - An overview of DISC, the world's most popular personality model - Clips from Hollywood movies and historical events that play right from your slides - Summaries of the latest research making the business case for personality - A leader's guide and reproducible participant handouts - The Personality PowerPoint includes Microsoft PowerPoint Viewer so you can play it on your computer even if you don't own PowerPoint. PC and Mac compatible.